Honduras has reported an increase in the number of cruise passengers and cruise ships in 2016 compared with the previous year, according to a statement. New vessels calling at Honduran ports this season included both the Azamara Quest and the Mein Schiff 4. 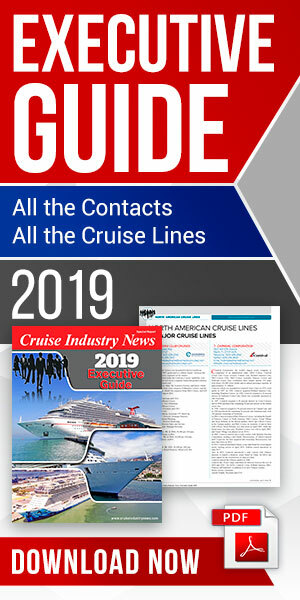 With the recent addition of these three lines, 18 different cruise ship companies now stop in Honduran ports of call, including: Carnival, Norwegian Cruise Line, Royal Caribbean International, Princess Cruises, Costa Cruises, Holland American Line, Thomson Cruises, Oceania Cruises, Tui Cruises, MSC Cruises, Regent Seven Seas Cruises, P&O Cruises, Silver Sea, Noble Caledonia, Swan Hellenic Cruises, Azamara Cruises, Hapag-Lloyd Cruises and Sea Cloud Cruises. Per official port statistics, 1,052,738 cruise passengers docked in Honduras in 2016, a 14.7 percent increase over the previous year’s figure of 917,938. Approximately 85 percent of these passengers disembarked. Per the Honduran Institute of Tourism (IHT) a 3 percent increase in cruises is expected during 2017. In total, 341 cruise ships called at Honduran ports during 2016, 6.6 percent more than the 320 ships that docked in the country in 2015. The largest of these cruise ships carried 6,882 passengers. Most cruise passengers visiting Honduras disembark in Roatán, some 30 miles north of the mainland. In 2016, Roatán welcomed 1,037,647 cruise passengers. Since the remodeling of Roatán’s main port (Coxen Hole) in 2008, and building Port Mahogany Bay (Dixon Cove) in 2010, more cruise lines servicing the Western Caribbean have incorporated Honduras into their itineraries, according to a press release. The Port of Roatán can accommodate one ship at a time and has three spaces in the anchorage area, while Port Mahogany Bay can serve up to two ships at a time. In 2014, Trujillo, situated on Honduras’ northern (Caribbean) coast, became the first continental port in the country to receive cruise passengers. The development of the port was made possible by a US$30 million investment by Canadian concessionaire Banana Coast to dredge the port and spearhead local beautification projects. Puerto Cortés is another cruise port, handling mostly local ships. Among more news is the Pacific Coast, as in 2018 Honduras expects to open the Amapala cruise port on Isla del Tigre (Tiger Island), just off its Pacific Coast. Amapala’s naturally deep channel will easily allow ships to dock, without requiring further dredging.